Though he is famous as one of Hollywood's greatest actors, a world-class humanitarian, and the founder of the Newman's Own natural food empire, the late Paul Newman had another intriguing and lesser-known passion: he was an avid, successful, and well-respected car racer and team owner. 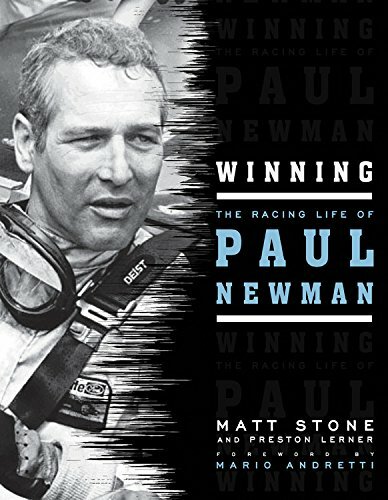 In Winning: The Racing Life of Paul Newman, Matt Stone of Motor Trendteams up with Preston Lerner of Automobile magazine to bring you the incredible racing biography of a man whose serious racing days began at an age when many race car drivers contemplate retirement. It is the story of someone who entered the 24 Hours of Daytona at the age of 70 and made his last professional race outing at 82; whose roster of Newman Haas drivers reads like a who's-who of open-wheel racing; and whose interest in cars extended from the likely suspects to old trucks and new hybrids. Newman is also the charming pal who, when a miserably wrecked Ferrari was dropped at his door by the incorrigible prankster Robert Redford, returned the favor by having the car, crushed into a cube, delivered to Redford's living room. 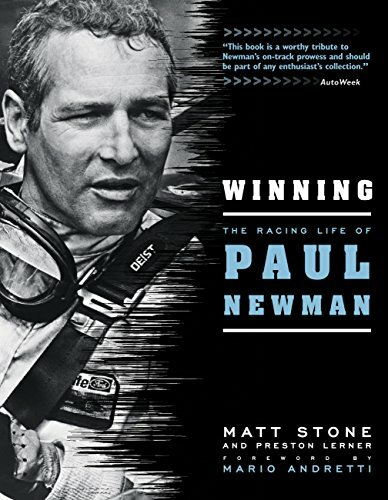 The anecdotes, the races, the cars―Winning contains them all, adding up to an award-winning and unprecedented look at Paul Newman's racing talent, unwavering conviction, endearing charm, and enduring spirit.